Well, quarrels and gridlock continue in our nation's capital as 2014 rolls along toward Spring. Astrological Jupiter, the *banking and financial planet of large proportions and (usually) generosity, remains in retrograde until its Direct Station of March 6, 2014 when it seems to pause at 10Cancer26, in the 5th house of Gambling and Risk-Taking when the horoscope is set for Washington DC. The IC (Foundation of the Matter) of the March 6th horoscope is conjoined by trickster Pan and gold-hoarding Midas along with Royal Star Aldebaran (potentials: courage; warmongering; military leadership; violence; sickness--A. Louis) which places Antares (potentials: war; legal problems; fires; quarrels; suspicion; violence; honors and riches but sudden loss--A. Louis) at MC, the Goal Point of the chart. As predicted on this blog that sequester cuts would be nixed for the Pentagon's sake, does anyone believe the now-restored funds in the military budget won't result in America's continuation of waging war and beginning new ones (under the guise of 'intervention' and other such euphemisms) across the globe? Yes, our domestic needs are sacrificed for the sake of war abroad--it's the same old guns vs butter argument which the American people tend to lose. Politically and financially, there is 'fateful deception' going on between the two horoscopes of Jupiter's Rx and Direct Stations (Sun-Neptune = Pluto) via the use of illusory, spiritual, or psychic forces to persuade. 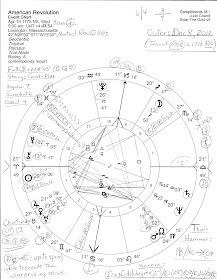 The November 7, 2013 Rx chart shows warrior Mars @13Vir17 rising as contentiousness over foreign and domestic matters has resulted in the ongoing gridlock in Washington, as we've seen on many occasions. Cynical me? Oh yes. Washington's perfidies made me that way and yet I love my country. After all, it isn't what they say or promise the public, it's what ends up happening that matters most. And so often these days, a majority of us don't agree with our government's actions or how they spend our tax dollars. It seems the NWO freight train just keeps chugging down the fast track though supra-nationalists must get worried now and then that their plans aren't coming to fruition. This cosmic event occurs on June 1, 2014 at 1:13:40 pm EDT with the 'success' midpoint of Venus-Jupiter at MC, and Jupiter just fertilized by the Moon @26Can46. Moon-Jupiter contacts generally portend happiness and/or sucess, even if it's only temporary. However, tr Pluto @13Cap03 Rx (secret wealth; sabotage, etc) remains in opposition to US natal Sun (the leader; the president) suggesting that recent and current titanic power struggles and stalemates will continue to bedevil the president's programs pertaining to both foreign and domestic matters for and in the US, along with the tr Uranus-Pluto square (generational conflicts and blockages) as a major part of the rebelling, protesting, striking, rioting, and obstructing gridlock of Washington DC. 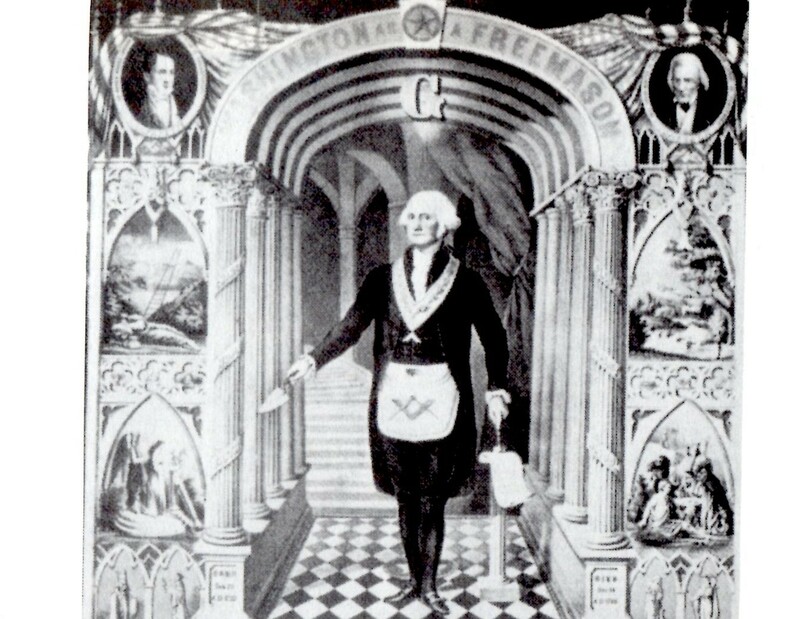 *Also pertinent to this post: often The Banker, Jupiter's roles may include The General, hence its connection to war, military expenditures, and conquests of territory, and it conglomerates into Corporations, hence its connection to corporate governance and finances. 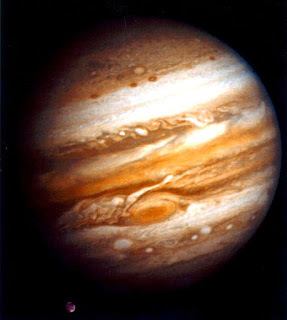 Plus, Jupiter can also play roles as Politician, Broadcaster, and Religious Leader. Jupiter's importance to our nation cannot be overestimated for if we use it, America's July 4, 1776 5:10 pm LMT chart with Sagittarius rising is ruled by expansive Jupiter. And if another natal chart timing is used for July 4, 1776 (such as the Scorpio rising chart), we have the Sun-Jupiter conjunction to account for our national Jupiterian characteristics and tendencies.